Samplers of all sizes and shapes are gorgeous but I particularly love this one as it's so modern. 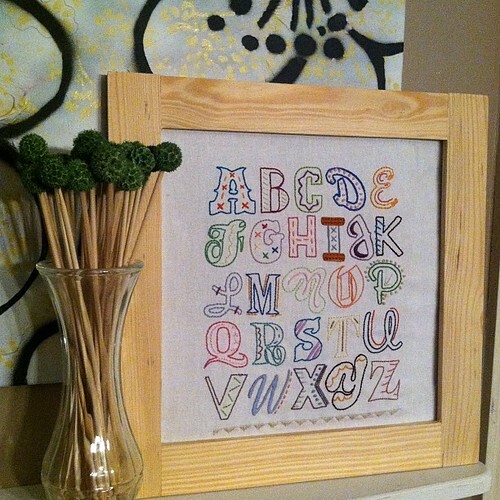 Stitched very ably by handmade is heartmade, from a pattern showcasing typefaces by House Industries over at Sublime Stitching. P.S. I want to know what those green poufs are on the sticks please. That is cool, and I agree that the stick things are also awesome. they are moss balls :) on skewer sticks!